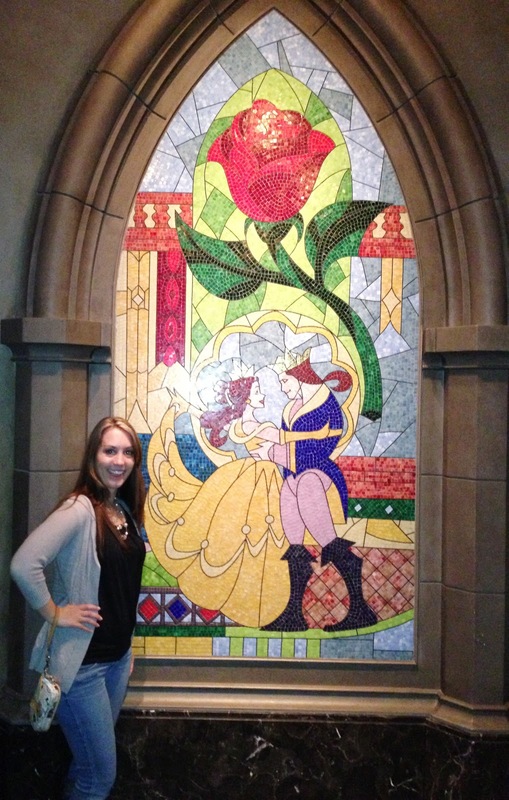 Ever since I was a little girl I’ve always wanted to step inside the world of Beauty and the Beast. It’s been a dream of mine since I was six and now, at the ripe age of twenty-seven, I have lived my dream. 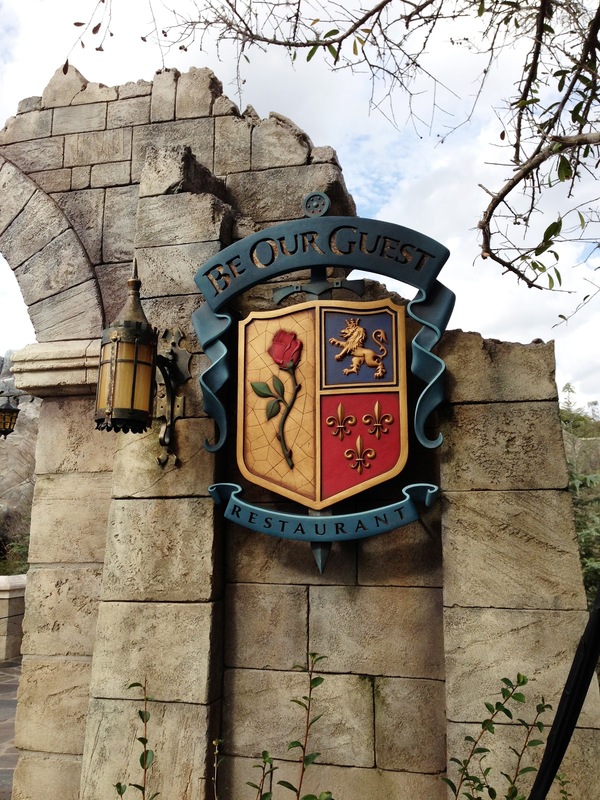 The Be Our Guest restaurant opened at Disney World’s Magic Kingdom on November 17th. Chris and I went within the first week of it opening and I could not have been more excited! The woman who took us to our seats was laughing at how giddy and in awe of everything I was. Yep, I am that adult who acts like a five year old child at Disney. And I am not ashamed. 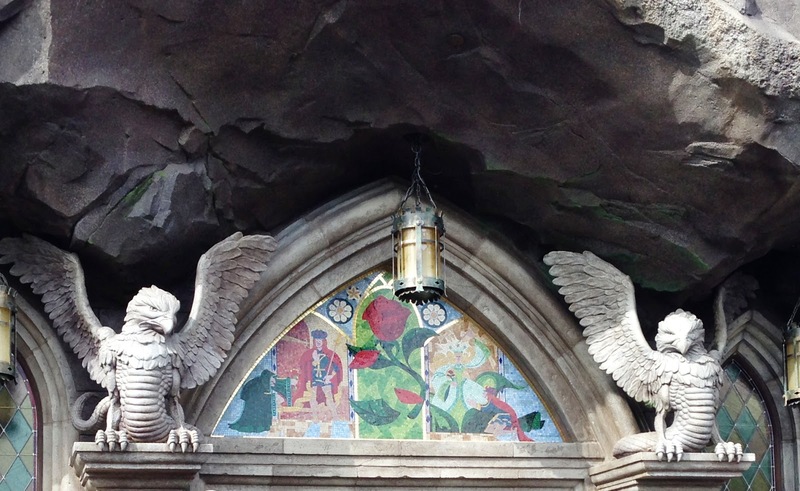 When you walk up to the restaurant doors you see a beautiful stained glass window that depicts the first part of the Beast’s story. 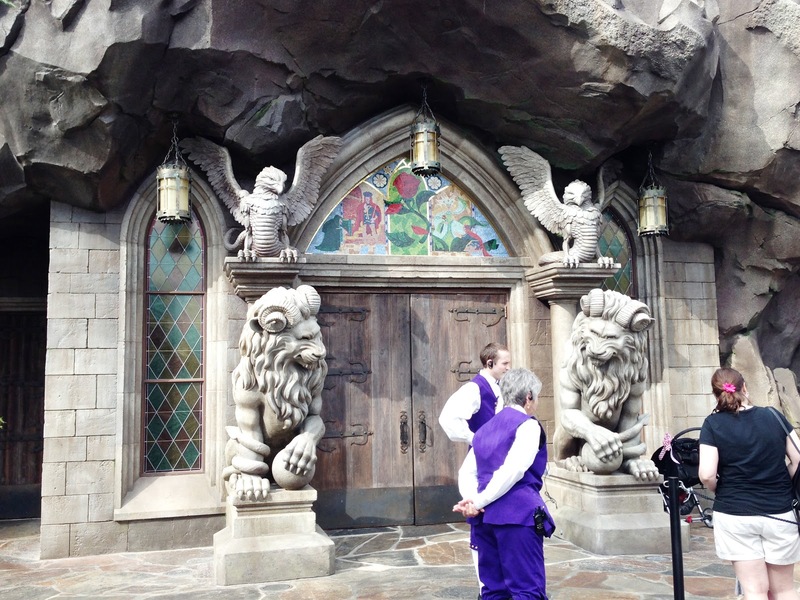 The double doors open as you approach them and you walk into a huge entry way (no pictures, sorry!). My mouth dropped open at this point, everything was beautiful! 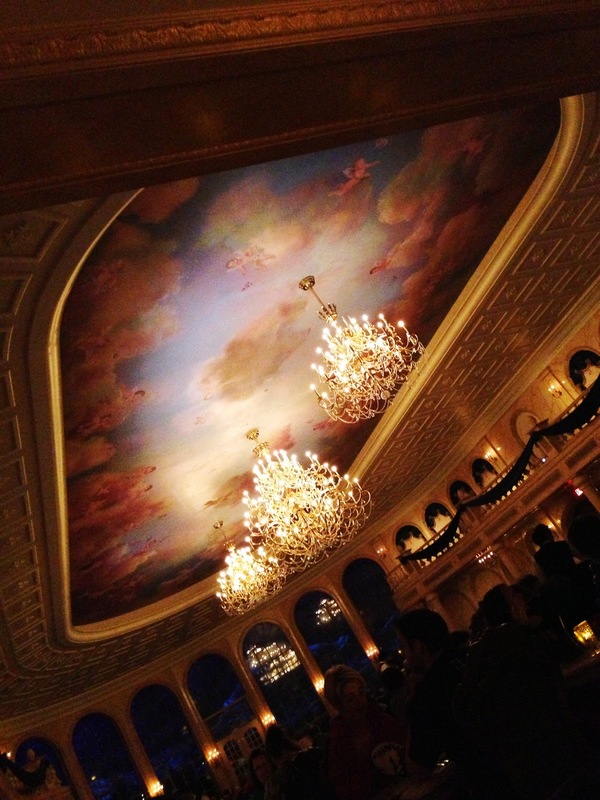 As you step into the dinning room you realize that you’ve actually stepped inside the Beast’s grand ballroom. There are no words to describe just how gorgeous it is. It looks exactly like I always dreamed it would. you up to the front doors of the restaurant! of these photos. 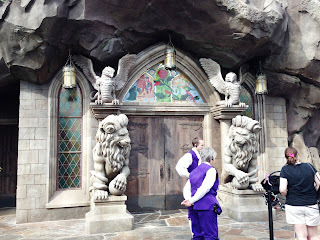 This was the front door that led you into the entry way. times as I have, you’ll know what part these pictures are from! This was inside the entry way on the left hand side. It was beautiful! If you can’t tell, I was really really excited! The West Wing was off to the right side of the ballroom and there was also a room where the Beast waited for you to finish dinner so he could greet and take a picture with you. On the far side of the ballroom was a wall of windows that framed the mountains in the distance. On the ceiling were not one, but three chandeliers as well as the painting of angels from the movie. There was also a second floor to the ballroom that was probably all for show but very visually appealing. too busy taking everything in! Chris and I swear that we will go back and eat at this restaurant again. The food was delicious! We both had strip steak with assorted vegetables and fries. We also got a bottle of wine (the only restaurant at the Magic Kingdom that serves alcohol) and also decided we had just enough room left in our stomach’s to eat a dessert. Since I have a food allergy, I am never sure if I can have dessert at a restaurant and usually steer clear of it. But, Chris and I decided to ask about it anyway and we found out that I can have the dessert at this particular restaurant (score!). We ordered a strawberry cupcake and devoured it in less than two minutes. I’m pretty sure we were a little drunk off the wine and on a food high when we left. 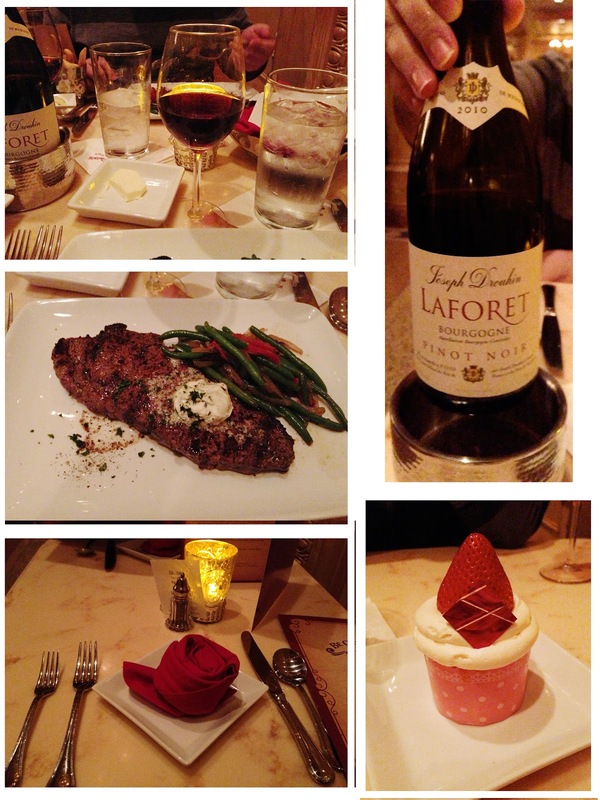 Delicious, delicious food and wine! 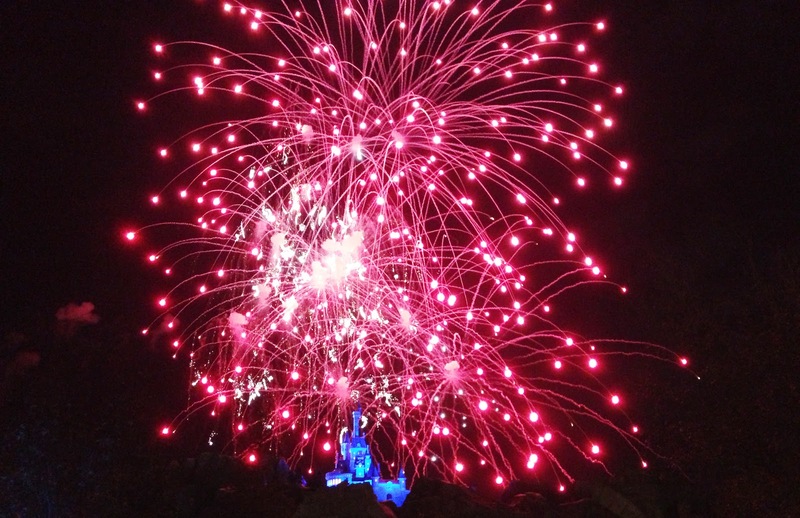 The only picture I took of the castle was a night when the fireworks were going off. I think it’s a pretty awesome shot! What about you? 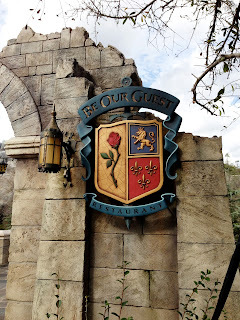 Have you been to the restaurant yet? What did you think of it?